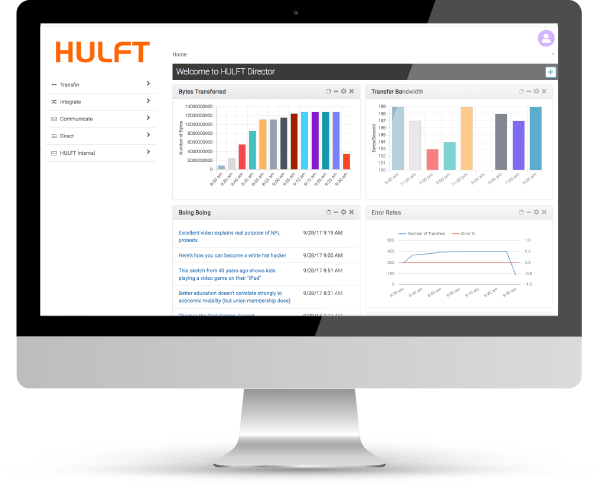 HULFT Director is a comprehensive platform for data management and business integration, with an intuitive interface that accelerates time to value. In business, overly complicated systems reduce visibility and central control. This makes resolving integration and data transfer issues a time-consuming and expensive affair. As a result, security suffers and risk rises. With HULFT Director business integration you gain overarching, centralised management of your data workflows. HULFT’s focus on flexible yet secure solutions has made it one of the leading business integration services worldwide. HULFT Director melds two complementary solutions: HULFT Integrate and HULFT Transfer. Together, this trio enables web-based central management that features system status updates, workload processing, access control, and user authentication. The system is highly flexible and intuitive, reducing the need for lengthy training and ensuring long-term ROI. As HULFT’s UK partner, Influential offers comprehensive HULFT data management services for this cutting-edge enterprise integration technology. Visibility: The centralised platform extends your management power across the entire enterprise, comprising hundreds of machines. View, control, move and integrate data however you wish. Improve your system and transaction error reporting, notification, and resolution. Security: With a holistic view of your data, exert greater control over which data is visible to whom. 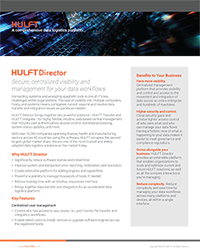 Identify and fix security gaps while defining who can manage data workflows. Take less time and effort to comply with governance and compliance rules. Scalability: The easily extendable platform lets businesses optimise and scale their HULFT solutions to meet future challenges. Manage thousands of hosts with one solution. That means lower costs and greater returns for your business. Simplicity: Streamline your data management with a single interface to control multiple platforms and devices. Reduce training time to free yourself to innovate. Enjoy a data logistics platform that brings data transfer and integration together, negating the need for extra investment in business integration services.